Protect Pier Fishing – Report Unlawful Local Regulations! Protect Pier Fishing! Sign the Petition! The California Sportfishing League (CSL) is a nonprofit coalition of freshwater and saltwater anglers, and small business leaders dedicated to protecting your right to fish and your access to fishing. The CSL has enjoyed measurable success when it comes to championing public policies that aim to increase fishing participation rates and economic activity. The CSL has emerged as California’s leading sportfishing organization and is the only statewide organization that advocates for the interests of recreational anglers. All of the money raised remains in California, so that we can effectively fight for you through political advocacy, grassroots organization, social media and effective communication with the press. Why Should Anglers Have a Voice in the Political Process? Fishing tackle bans! Raids on fish stocking funds! Pier fishing bans! Costly licenses! Few anglers would dispute that costly government regulations serve as a barrier to what should be an affordable form of family recreation. This is why the number of annual fishing licenses in California has plummeted over 56% since 1980, and our state is ranked dead last for fishing participation even though we have one of the longest coastlines, over 3,000 lakes and reservoirs, and thousands of rivers and streams. This is unacceptable! This is why California anglers need to get organized, as never before, to stop the ongoing threats that make fishing less accessible and more expensive. In recent years, legislation and regulations that directly threatened fishing and the jobs that depend upon it faced little political opposition from anglers. All this changed in 2014 when a group of anglers and small business owners simply got fed up with the status quo and formed the California Sportfishing League – the first statewide government watchdog for anglers. This group knew that California anglers would fight to protect their right to fish, and were simply looking for a new approach that could counteract well-financed anti-fishing groups. In order to counter the powerful anti-fishing forces that roam the State Capitol, CSL has a full-time lobbyist in Sacramento monitoring legislation and regulators. What’s more, CSL has the ability to effectively mobilize over 12,000 Facebook fans and supporters to directly engage decision-makers, as we did when hearings were held to regulate and potentially ban common fishing gear. CSL – backed by emails from nearly 6,000 angry anglers – made it very clear: stay out of our tackle boxes! When government acts illegally by attempting to raid fish license fees in order to finance Marine Protected Areas, or impose outright fishing bans, CSL is there to stop it. And CSL is also working hard to promote changes that could make it easier to fish, too. Our success can be attributed to anglers like you and businesses dependent on outdoor recreation, tourism and jobs! Protect your right to fish. 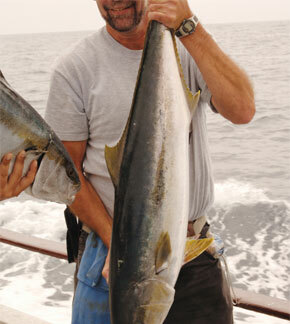 Hook up with the California Sportfishing League – the angler’s government watchdog! Thank you for considering CSL. Join us today!